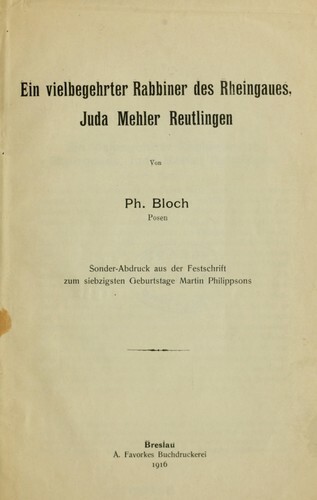 1 edition of Ein vielbegehrter Rabbiner des Rheingaues, Juda Mehler Reutl... found in the catalog. Add another edition? 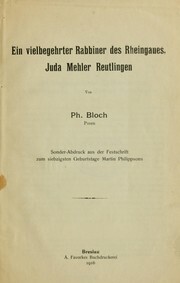 Published 1916 by A. Favorkes Buchdruckerei in Breslau . February 4, 2011 Created by ImportBot Initial record created, from Internet Archive item record.